The Clockwork Dance is the first single from Vukovar's forthcoming album Puritan, due out in October. A dark brutal record with electronic overtones, fittingly released on the Brutalist House label, it's a real statement of intent from the band. The song's video perfectly captures the mood of the song, an almost Blair Witch style journey through an abandoned building, as the half-spoken half-sung chorus bids the listener to "commence the clockwork dance" with a foreboding menace but a slight hint of charm before concluding in a slowly accelerating hail of drumbeats and then disappearing into the night. 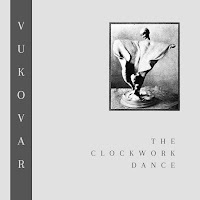 The Clockwork Dance is available on a pay what you like basis from Vukovar's Bandcamp page. Vukovar are on Facebook and Twitter.